Last night one of my friends told me that he is going to visit a season fair at a nearby place. At this, I asked him to share the pictures and fun he would have there. After an hour he sent me the pictures of an almost empty street, writing there was nothing in the fair!! I still remember an early school days reading named as ‘a village fair’. The chapter was interesting as it used to take kids to an actual village fair scene where there were many types of swingees, a few hawkers of toys and many tasty tummy fillers at one place. So far as I remember the chapter, there was a young boy of our age that time (when we were reading that story in school) who was at a fair with his father. The excitement and enjoyment of that boy used to make us feel like our own fair visit with that reading. And any fair I visited after that reminded me of that reading too. A few school time essays also made us wordify a village fair in our words. Well.. time has changed now. Not only such readings but also the charm in the typical fair is extinct now. 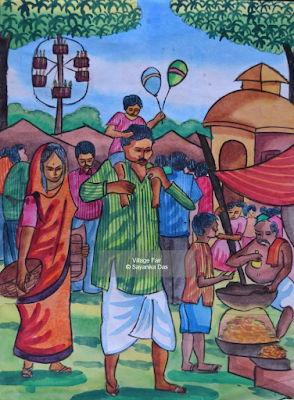 Exhibitions, fates and carnivals have replaced our typical Indian fairs now. Many famous yearly village fairs have lost their grace. When I asked my Aunty, who used to call us to see the fair in her village every year during my childhood, how the fair was this year, she gave me a disappointing reply. She said, “We don’t visit fair since many years now... You see everything we used to eat or buy in a fair is now available at the nearby shopping center, there is no need to go so far just for nothing new”. The fair on the occasion of Dussherra was one of the most awaited and exciting happenings until I was in school. The typical clay made toys, piggy-bank pot, balloons and many other shops selling so many things at that fair used to make it a place completely packed with visitors. I used to take a round of the fair with my father and friends, and my mother used to stand away from there as she was feeling suffocated in that much rush. From Dussherra to Diwali there used to take place many fairs where the hawkers used to shift their stalls from one locality to another. 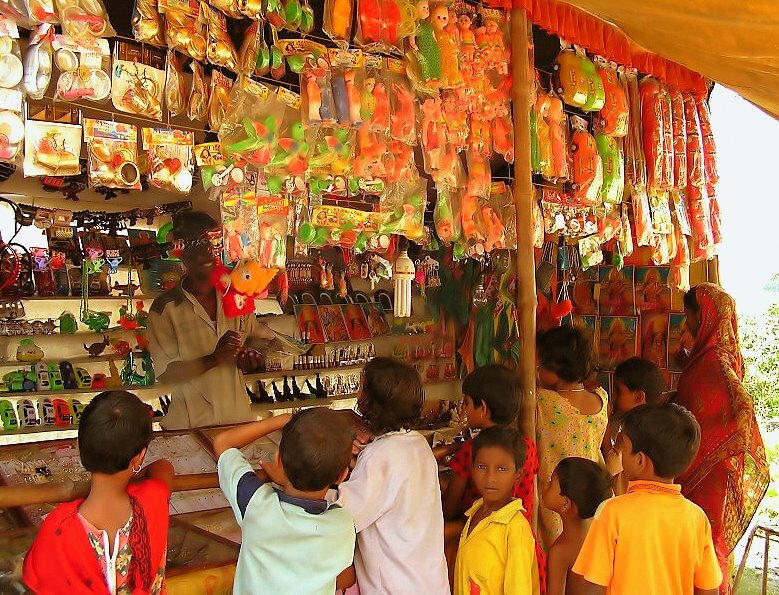 The pleasant weather and festive buying needs used to attract people to visit these fairs. One more fair I feel like discussing here is that of Magh Mela that is set up in January- February every year at the bank of Sangam in Allahabad. 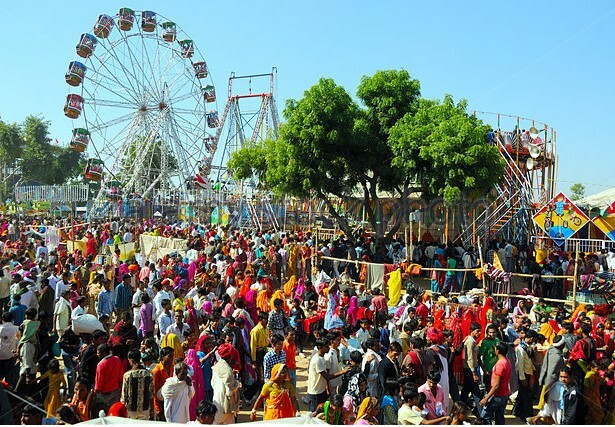 This is one of the most famous, reputed and largest fairs of our country. Hawkers, artists, stalls from across the world used to take part in this fair. But somehow I have felt that the excitement of visitors has fallen sharply towards this fair also. 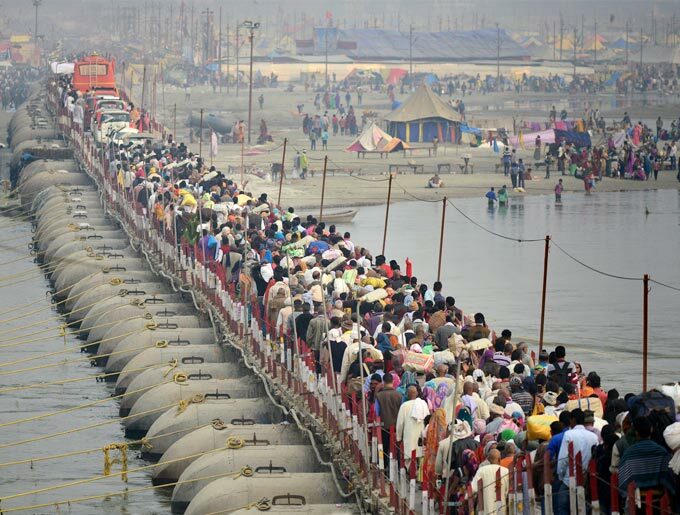 I spoke to few vendors last year in the Magh Mela who said there is hardly any good profit they are able to make as the crowd is just interested in washing off their sins in the holy river and least interested in buying things from them. When I asked a vendor to show his jute made bag, he informed me in advance that he would not be giving me any polythene bag and show me if I was interested in buying that without demanding for a polybag to carry it. Later, he told me that the police are not allowing the use of polybags here while many of his customers don’t buy things just because he is not able to offer a polybag to carry that thing. 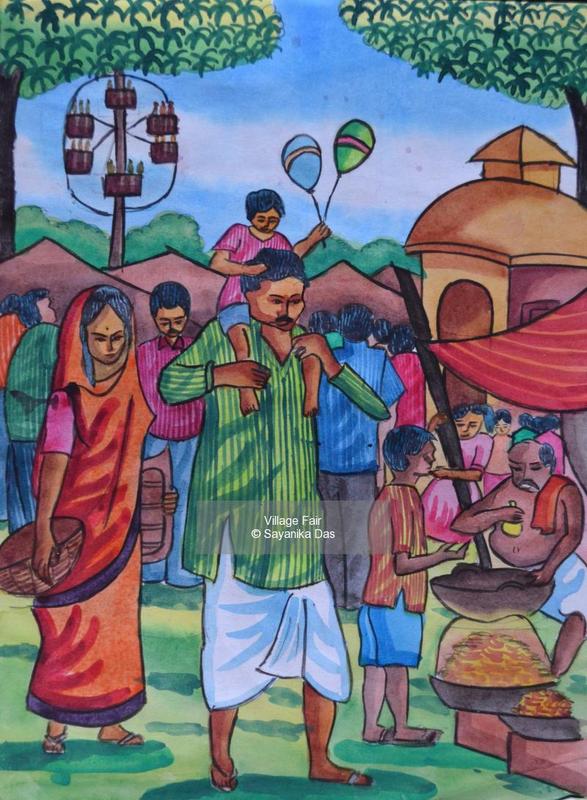 I believe I would be able to just-narrate the fun and happenings of a typical Indian fair to my kids, as the pattern is soon going to make them an old-time story. Though I would not feel happy about this as I was one of the people who used to enjoy a lot in such fairs. The increased sophistication is taking us to giant malls where we get to see exhibitions and carnivals which are certainly the modern form of our typical Indian fairs. In a few years, I think people would make virtual visits to an online form of Indian fairs. But the breeze of just entering winter, the clay made unpainted red pots and toys, the jalebies from famous 'once in a year coming stalls' and those many petty kitty things of household needs are certainly missed by us.